On this pannel sites are reviewed for what they could do to improve their SEO. Tim Mayer recommends optimizing for image search since it has lots of traffic and few people optimize for it. Use proper file names, alt tags, and link at the images. used to have multiple location based URLs...301ed to one central domain. Matt Cutts recommended that. Jake recommends starting from the bottom up. Building links into some of the subject specific pages and then working your way up. Matt Cutts said "tell me about your backlinks" ... uber spammy reciprocal linking campaign. 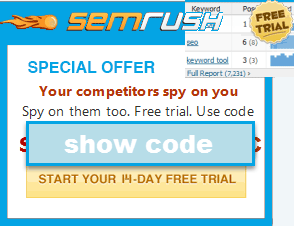 said good news is no manual spam penalty, but few of the low quality links this site has are doing it any good. Tim Mayer asked what is actually unique about your domain? not only link to related pages about immunization, etc., but also create tables of the locatin based related information, etc. Matt Cutts calls some of their paid backlinks "painfully obvious" to most any search engine. Matt said those links are not hurting them, but they are not helping in Google. instead of looking to rank for mortgage Matt recommends looking for 20 year mortgage loan, etc. Matt Cutts said the partner links section on IACI properties as a technique do not work in Google. Matt said the goal of engines is to detect and count editorial quality votes. Aaron - Second site above is "OnlineHighways.com" or OHWY.com. You've done a nice job here with the recap.